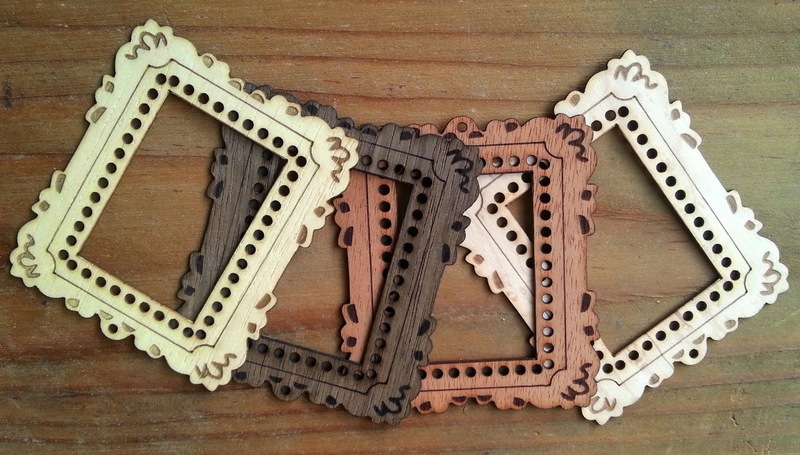 Stitch Story: Mini Masterpiece Necklace Frames! The second item eWoodStory is launching is our Mini Masterpiece frames, available in 10 different types of exotic wood, and 2 sizes! 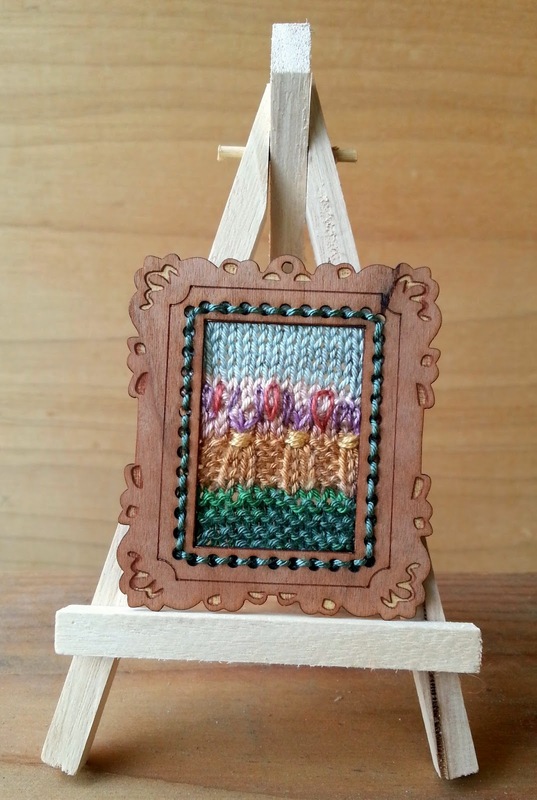 The small size measures 2 1/8" wide x 2 1/2" tall, and the large size measures 2 1/2" wide x 2 7/8" tall. 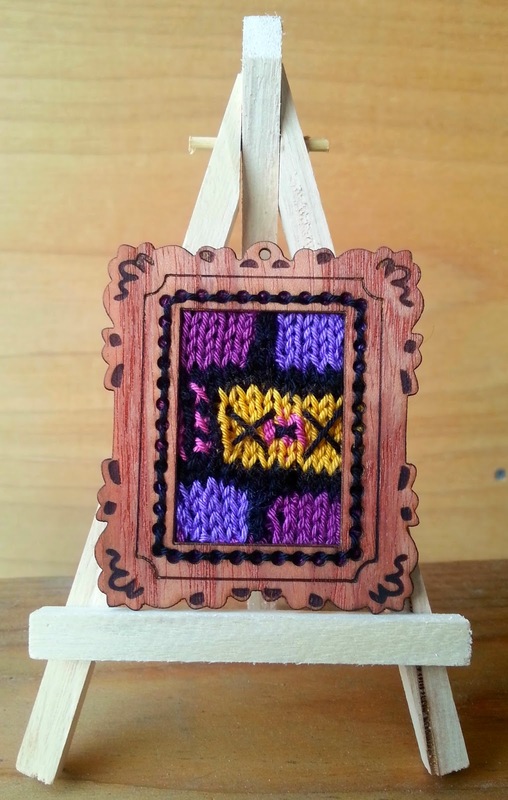 You create a rectangle by any method you choose, then stitch it to the frame. The sky is the limit, crochet, knitting, cross stitch, hand or machine embroidery, weaving, felting, fabric painting....or even combinations of techniques. Your necklace will be a one of a kind statement piece. 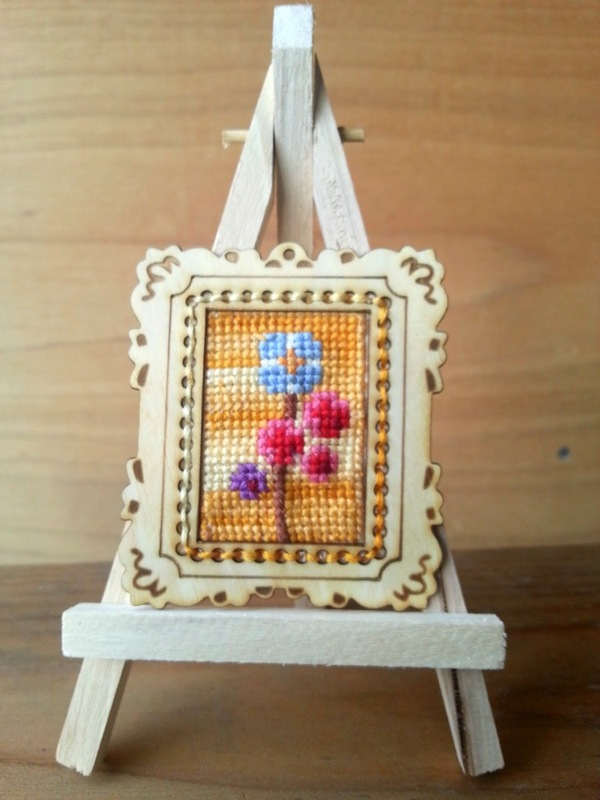 I have created some samples in different techniques to give you ideas, and we have a flickr group that you can upload photos of your finished frames to inspire others. 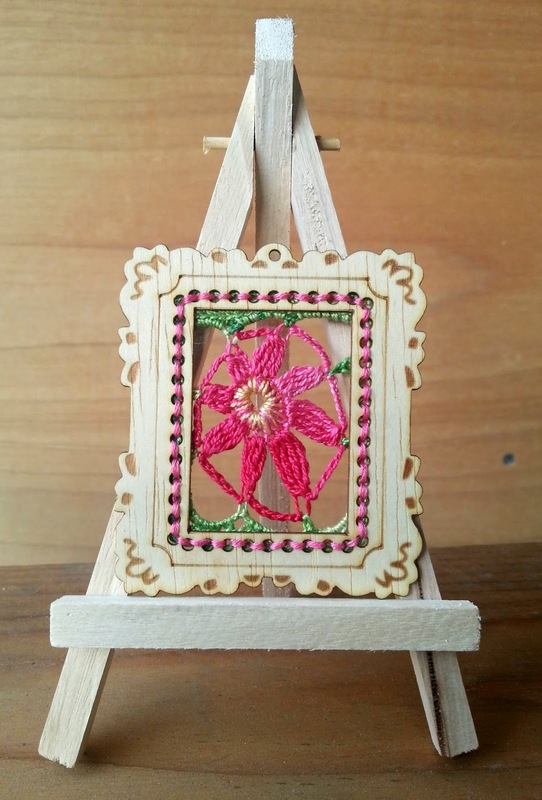 These frames are available to purchase in our Etsy shop and in Kuwait at the Sadu House gift shop and the Needles and Yarn Shop. Ahhhhhh que bellos trabajos!!! !, me encantan! The display is so wonderful for the yarn! My First Knit and Crochet Show! 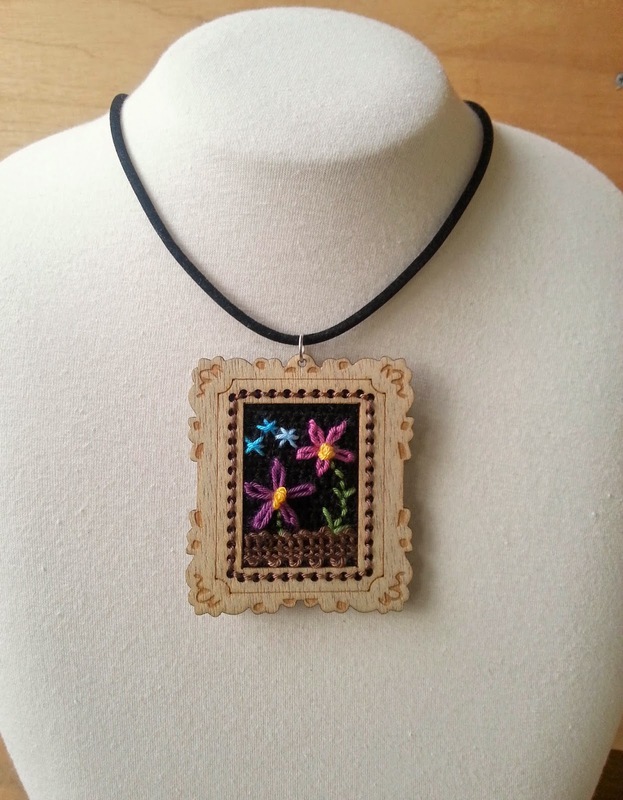 Launching Our New Crochet Jewelry Kit! 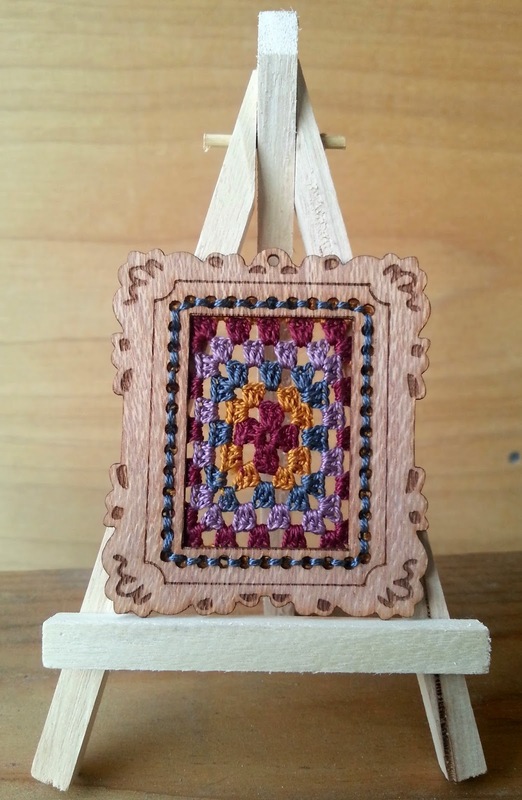 Woodworking + Crochet, and the Magic of Blocking!